Some are hot off the presses, some are modern classics. 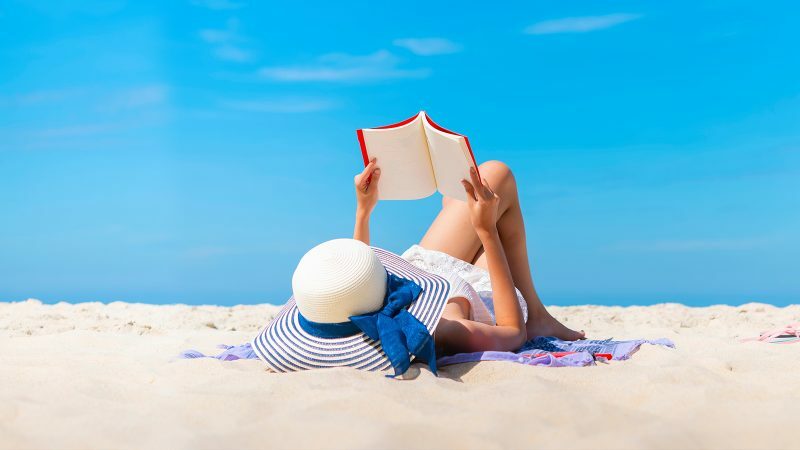 While everyone else is catching up on the latest beach reads (spoiler alert: All the characters in those will reveal a secret past before living happily ever after), you might want to cozy up to something completely different. Some of these are hot off the presses, some are modern classics, and some might just give you a different type of insight into what you think you know. Zappos founder Hsieh built an empire one pair of shoes at a time. His business model includes classic Silicon Valley growth ideals, along with some quirkier wisdom gleaned from deep soul searching and time spent at burning man. It’s a good read for the eclectic business person looking for a different type of role model. If you’ve been thinking about starting a side hustle but have no idea of where to start, have a look at this book. You don’t have to sink a fortune into a business to get it off the ground. Summer should be about fun and socializing and getting out from behind your screens and back to hanging out with people. It’s also a great time to practice your soft skills. Read up on mingling and socializing and then practice during barbecues and rooftop cocktails. Did you ever wonder how top salespeople manage to sell themselves, their businesses, their philosophies, their talents year after year after year? This book gathers twenty-one common behaviors of top earners across seven major industries that set them apart. Every person profiled or analyzed shares one common trait- they’ve managed to figure out how to use their talent for persuasion to earn upwards of one million dollars a year. I’m not one of Ferriss’s great fans, but I love the way he culled information together to encompass the best habits of artists, athletes, and investors. More than that, it’s positioning them as long-distance mentors who can help or inspire you depending on your ultimate goal. There are so many statistics about how alone many of us feel. This book allows you to feel accepted either in a group, or if you’re a slight misanthrope. It’s more of a confidence builder than anything else, and one that speaks out against the tendency to cut others down in our current social structure. With one in three Americans earning a living as a freelancer, chances are good that you or someone close to you no longer fits the mold of the typical worker. This book explains how the trend began and offers day to day information and advice on navigating the new work reality. This one won’t be out until August, but I’ve had a peak and it’s by turns fascinating and terrifying. If you’re trying to figure out how to get ahead of the competition, this book allows you insights in how to interpret what’s already out there and make it work for you. If you ever feel like your entire career has been spent swimming against the currents, you’re not alone. Author Pao shares her past struggles along with deep insights into how many of us might be taking everyday inequality in the workplace for granted. No, this isn’t a new one, but it’s probably time for your refresher course in how to write. More than that, it’s a helpful way for anyone producing anything from a tweet to a campaign to understand how to engage with readers instead of simply talking at them. While this book is ostensibly about the customer service experience, it also helps one understand how to deal with the trolls online and in life. The love child of philosopher Søren Kierkegaard and Kim Kardashian combines angst with fluff in this tiny, brilliant tome. It won’t help your career, but it might add a laugh to your day and spark conversation around the water cooler.